Nitor Technologies, Inc. is a technologies company founded on the principals of dependability. The staff is committed to standing behind its solution 100%. 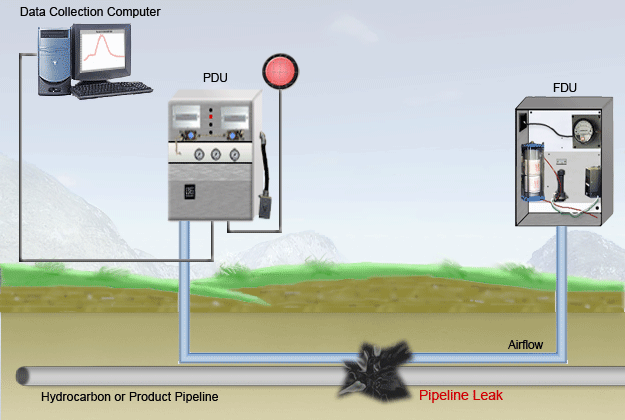 The PROWLER system (Protect and Reclaim Our Water, Land and Environmental Resources) leak detection and location system offers quick and accurate location of a leak, which allows not only for faster clean up, but, the ability to start that clean up in a more timely fashion. The PROWLER system has several unique features. It uses the principle of diffusion to detect vapors that travel 50 times faster than liquids in the subsurface. It also has the ability to provide complete coverage of a pipeline. The PROWLERS ability to be easily calibrated for existing subsurface conditions and its ability to operate in the presence of water makes it desirable for detecting and locating small gas leaks in and around highly sensitive highly volatile and high risk areas. In and around densely populated areas. In and around Streams, Ponds and Lakes. Buried pipelines and underground storage areas. High gas concentrations areas in remote confined spaces. Air force bases and airports.